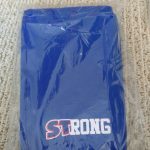 With the popularity of knee sleeves on the rise, a reasonable question stands – what are the benefits of wearing knee sleeves? Are there any downsides? Is the cost justified? Do You NEED Extra Equipment for Lifting? Selecting the right calf compression sleeve can make or break your workout. Known for reducing pain and increasing range of motion, compression sleeves have taken off in popularity.